It's... well... I'm not sure. Seems a little cramped. Surely they still employ people who can, you know, design things, right? I wouldn't count on it. Besides, I think these days they are more interested in trying to maximise profits by mashing together bits of their existing plastic kits into new kits rather than designing new stuff from scratch. In the mean time, some progress on the Land Speeders. The end is in sight. these pictures are right after the decals and some weathering done with a little sponge. I applied some dark grey, some tin, some boltgun metal, and some light brown. The decals might shine a bit too much in these pics as they all have a little coat of gloss varnish on them to seal them. At the moment the models are coated in satin varnish and I'm ready for the oil paints. I decided to go with satin instead of gloss as I don't want the surfaces to be too slippery for the wash with oil paints. So, here they are after the oil wash (mostly black, with a little bit of dark brown)and dried out. I did some small corrections using pointy cotton sticks damp with turpentine. I cleaned up some plates, the shoulder pads, gave the yellow helmets a light 'polish', etc. This really helped to brighten up some areas, and using the flat bits of the ear swabs I lightened some too-darkened areas while leaving the wash neatly in the recesses. Now I need to seal it with a coat of of satin varnish and then I can go to work with thinned inks to add some heat distortion to engine- & weapon nozzles, and pipes. Seal it again and then some more oil paints for grease stains, seal that layer with varnish and then add some weathering powders. Oh and I just saw i need to give the two silver areas of the crests on speeders 2 & 3 with an oil paint wash using purely black, to keep the tint of the light blue/purple wash intact. Enjoy! C&c welcome as always. Fantastic work, as always. I love it when you paint stuff. I'm always impressed with the level of detail. Yay! The decals got printed! Crap! I already managed to frak up two of them! Maybe because it's Chinese waterslide paper, possible because of the reasons outlined below. As you can see it's rather dark and cracked although in real life it does appear more crisp than on these photos. The dark probably comes from the fact that the white waterslides are ever so slightly transparent, probably warranting a white undercoat. And as you can see it's also cracked. But that probably comes from the fact that to try out, I just gave the decals one coat of satin varnish from a can because that was easy and fast. Also, considering the size of it, it also has to soak for quite a bit until it comes loose from the paper. Yesterday, I coated them with a second and third satin varnish and just now with a coat of gloss. This will probably seal in the ink strongly enough. I'm going to leave this to dry overnight and then put on a new decal. luckily I added those side panels 7 times per sheet I printed, so I have 5 left and can always print some more. Until I read the text, I just figured you weathered it. :shiner: That's what it looks like, anyway. Yeah it does look weathered. Which I persume you would do at some point. Well, weathering will follow, I really like the cracks by themselves bit the fact that they're whit put me off. Also, the image became to fuzzy because the varnish coating wasn't solid enough. So obviously they still need some work in terms of a few coats of Micro Sol, and the pilot's name needs some trimming. The pilot's name is a tribute to the generous Texan who sold me his pre-order extension kit for the errrr Thunder Raven!...? There's also a request for another Texan coming onto the missile pods. Funny how all these Texans ended up involved in a Belgian build... Must be the beer. That looks incredible. I fancy making one of those myself! 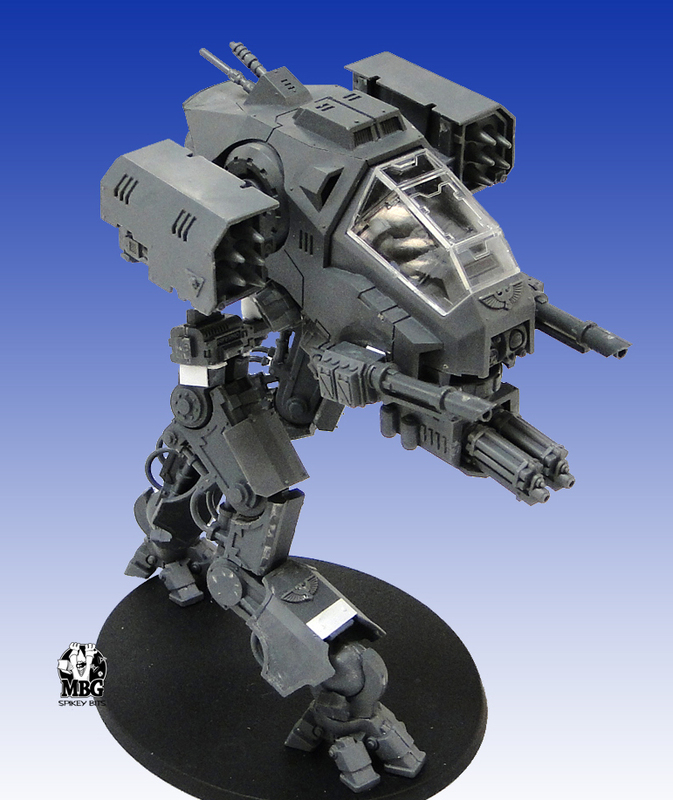 In a far larger scale though, like i did with my Arvus! Great work. Pics saved for reference! That's awesome. All of the decals look great. I love the "Angry Marines Inside" warning sign. Decals complete! I just need to do some light touch-ups here and there. The home-printed decals are a tougher breed than their regular cousins. Days of furious stabbing and applying Micro Sol and rubbing, stabbing, rubbing, coating... still left me with the off air bubble here and there that won't go away. I already camouflaged most with some paint but the close up pics revealed some more. But basically, this birdy is ready for weathering! Those look great. The one I really like is "We Brake for Kittens." That's hilarious. I'm looking forward to the weathering. That looks pretty damned awesome. Great work. Cheers guys! I'm glad you're liking it. lol, yeah, I couldn't resist with the bumper sticker. Kittens? Not Adepta Sororitas in hot pants? Here's some progress. The speeders are 99% finished. They just need some light weathering powder and then they're done. Enjoy! Here's the birdy after the first few weathering passes. Just some brown, grey,boltgun metal, and black stippled on with a little sponge, and some streaks with thinned boltgun metal. And I must say, getting nice streaks with acryllic paint ain't easy. Quickest compromise I found between look & speed is applying a thin line of the thinned paint along the edge of a plate and then, using a large flat brush, streak it backwards in one smooth go before it dries. On some parts it looks very good, on others, not so much... It'll need some adjusting and correcting here and there but I think I also can camouflage the dodgy bits with some more haint-painted detailed streaks. And once i hit that puppy with oil paints, I'm sure I'll be able to to add some nice black re-entry burn streaks using the larger metallic streaks as a base to work on. Wow, time went fast. Sorry for the lack of replies, but I'm back! Time went by pretty quickly with some holidays, busy days at work and general busy-busy. But here's some progress. Just before going to Warhammer World in the UK last weekend I managed to finish the 2nd devastator squad. Well, finished... they need bases and two of 'm need bolters, but still. They were ready for gaming and saw some good action. And I peeled off the masking tape on the Stormraven's cockpit. The bird's ready for oil paints now and since the cockpit seams need some dirtying up as well it seemed like the time. w00f w00f! Now thats a nice conversion!! very nice mech, would be good as a 3d computer model so you could animate it.